China's Roewe Building Next Presidential Limo? In a world without US automakers, someone would have to build the next Presidential limousine, right? 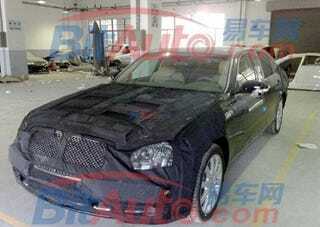 Chinese automaker Roewe's working hard to complete this luxury barge ahead of the Shanghai show. Why not them? "will be at least 12-15cm longer than the regular Roewe 750, which is actually based off the stretched Rover 75 that SAIC bought the rights to in 2005."